This is the 5th post in a series by Dr. Keith Devlin discussing the differences between video games that teach mathematical procedures and the opportunity for games that could teach mathematical thinking. The vast majority of video games that claim to teach mathematics do not actually do that. Rather, what they do is provide a means for students to practice what they have already been taught. For the most part, the focus is on basic computational skills. A good example is the first-person shooter Timez Attack. Mastery of the multiplication bonds (times tables in parent-speak) is an extremely useful thing to achieve, and the sooner the better. All it requires is sufficient repetition, and I know of no better way to achieve that than with an entertaining video game. In this fun and interactive talk, Dr. Frank Wang will introduce students to the concepts and “big ideas” of Group Theory. Dr. Wang has given this talk at math teacher conferences, on live cable television, and to students as young as fourth grade in schools, large and small, throughout the country. Dr. Wang is a mathematician by training (PhD in pure math from MIT), textbook author (with Saxon Publishers), and former textbook publisher (formerly CEO of Saxon Publishers) whose passion and mission are to make the concepts of higher math accessible and interesting to students of all ages and abilities. In recent years, he has worked with students in Los Angeles Unified, Chicago Public Schools, NYC Public Schools, Clark Co. Public Schools and here at DISD. This summer, he will become the president of the Oklahoma School of Science and Mathematics, succeeding the founding president who has served since the school opened its doors in 1990. Dr. Wang gives this talk in thanks to the wonderful support he has gotten from and the many friendships he and his family has made in the north Dallas community. MMC Regulars Continue on to MATHCOUNTS Nationals! Our MMC regulars: Vinjai Vale, Michael Ma and Jeffrey Huang continued their success this weekend in Austin at the State MATHCOUNTS competition. Jeffrey came in first, Michael received second and Vinjai received 7th place all in their first year of eligibility! Michael and Jeffrey will now represent Texas at nationals! Please join us in congratulating the boys by liking this post. Top 3 team round schools: 1st place, Ft. Settlement Middle school from Sugarland, 2nd – Rice Middle school and 3rd – Harmony School of Excellence from Houston. We are looking forward to Ivan Borsenco’s return to UT Dallas. Ivan, a former mathematical olympian, AwesomeMath instructor and current MIT student will present a number of problems and their solutions using the Pigeonhole and Extremal Principles. 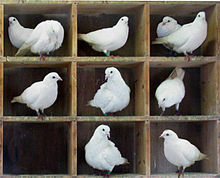 The pigeonhole and the extremal principles are heuristical principles that are not tied to any subject but are applicable in all branches of mathematics. Their beauty lies in the fact that they can justify existence of an object with a certain properties. We will learn the use of these principles by going through a couple of classical theorems and solving lots of entertaining problems that have unexpected solutions. With the AMC 10 and 12 contests behind us, some students will be preparing for the AIME while many will be working hard to improve their scores next year. Both groups will not want to miss Dr. Titu Andreescu this weekend as he presents more of his favorite problems and solutions. Titu Andreescu received his Ph.D. from the West University of Timisoara, Romania. The topic of his dissertation was “Research on Diophantine Analysis and Applications.” Professor Andreescu currently teaches at The University of Texas at Dallas. He is past chairman of the USA Mathematical Olympiad, served as director of the MAA American Mathematics Competitions (1998–2003), coach of the USA International Mathematical Olympiad Team (IMO) for 10 years (1993–2002), director of the Mathematical Olympiad Summer Program (1995–2002), and leader of the USA IMO Team (1995–2002). In 2002 Titu was elected member of the IMO Advisory Board, the governing body of the world’s most prestigious mathematics competition. Titu co-founded in 2006 and continues as director of the AwesomeMath Summer Program (AMSP). He received the Edyth May Sliffe Award for Distinguished High School Mathematics Teaching from the MAA in 1994 and a “Certificate of Appreciation” from the president of the MAA in 1995 for his outstanding service as coach of the Mathematical Olympiad Summer Program in preparing the US team for its perfect performance in Hong Kong at the 1994 IMO. Titu’s contributions to numerous textbooks and problem books are recognized worldwide.